Seventeen-year-old Julia Wright doesn’t understand her friends’ obsession with boys. She proudly maintains her composure no matter who is in her presence – though some annoying and rude boys still manage to grate her last nerve. Then she is blackmailed into being the manager of the men’s swim team, and finds herself face to face with the worst of them all. Team Captain Vander Thelxinoe is the typical self-assured jock. He has the ability to change people’s minds at will, only his charms don’t work on Julia. 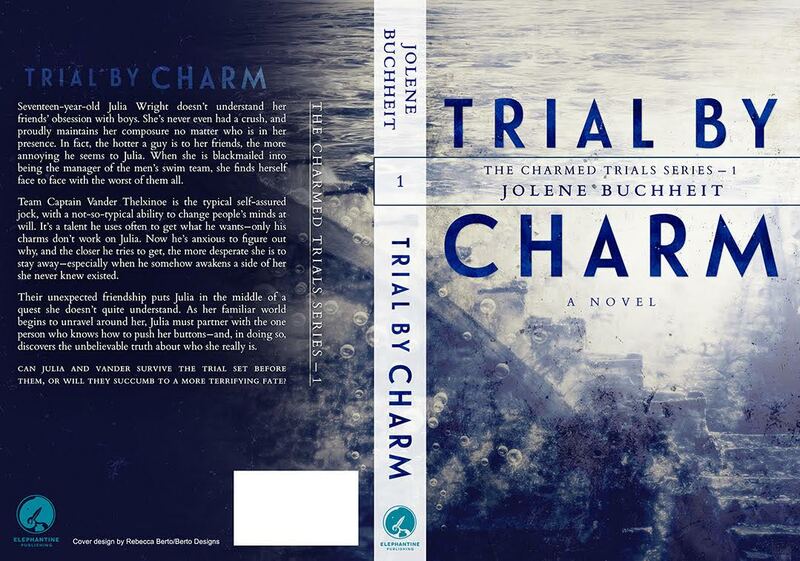 Now he’s anxious to figure out why, and the closer he tries to get, the more desperate she is to stay away – especially when he somehow awakens a side of her she never knew existed. Their unexpected friendship puts Julia in the middle of a quest she doesn’t quite understand. 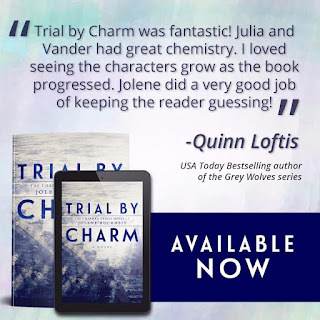 As her familiar world begins to unravel around her, Julia must partner with the one person who knows how to push her buttons – and, in doing so, discovers the unbelievable truth about who she really is. Can Julia and Vander survive the trial set before them, or will they face the extreme consequences of failure? Julia has always been different but she never knew why. She was happy to be different, then she gets to know Vander through a chance run in... and life will forever be different. 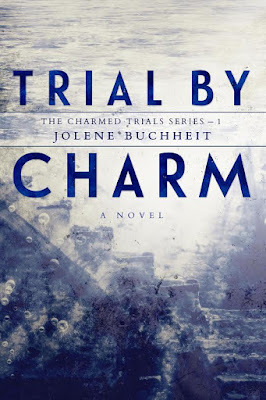 Trial by Charm is the kind of story that you giggle the whole way through. I absolutely love the humor of the story that Julia interjects. There are so many references to current culture that the story pulls you in so easily as it is incredibly relatable. Vander... ahhh what a character! He seems so spoiled, and then a the same time, we learn that he is more vulnerable and afraid than any of the other characters. I really love how he pulls it together for Julia and becomes her champion! Grab your copy, I guarantee that you will read it in one sitting just as I have! 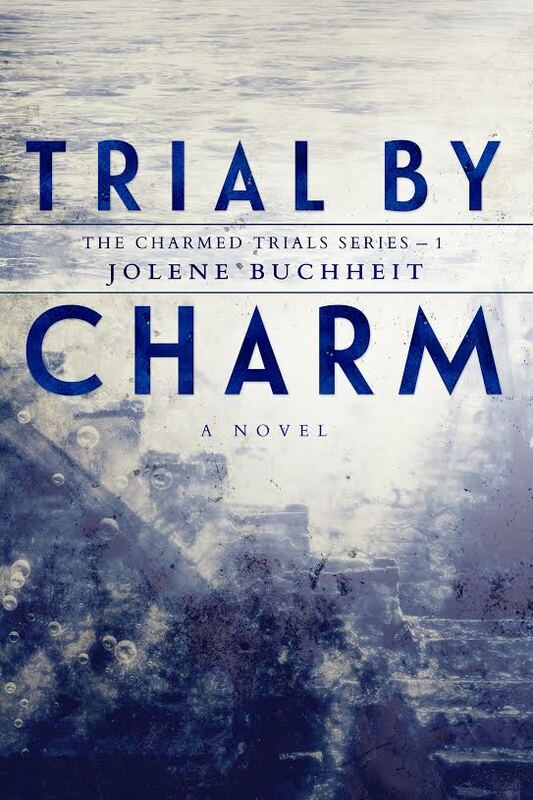 Trial by Charm is well written and an amazing story that will leave you ready for more! As a substitute teacher, Jolene spends her days in high school classrooms harvesting material for her Young Adult novels. She also uses it as an outlet for fangirling by showing upcoming book-to-movie trailers at the end of class, or discussing vital issues like whether Katniss should have picked Gale or Peeta. She is committed to helping Special Education teenagers become independent adults and helping them find a way to focus on the positive especially when life gets hard. 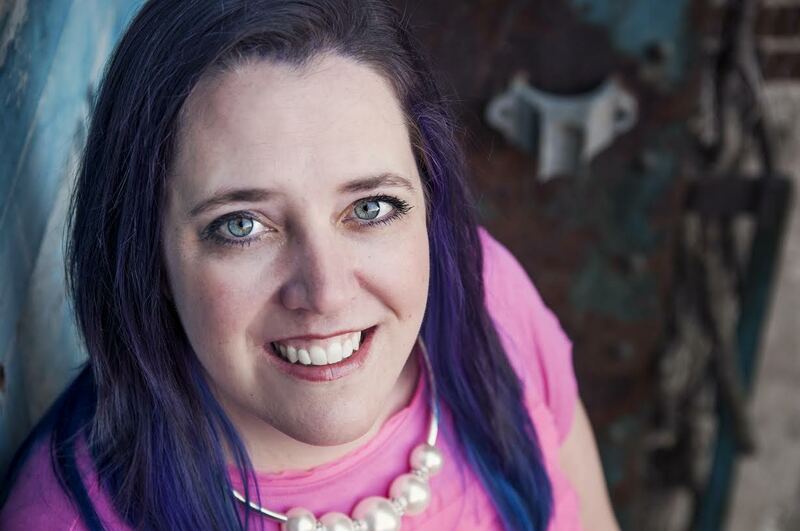 At home, Jolene loves to cuddle with her husband, two kids, and three cats—sometimes all at once—while reading Young Adult books or repeatedly watching movies based on them. I study his profile. His chiseled jaw and dark, floppy hair are like something out of a magazine advertisement. His eyes, too—they aren’t dark to match his hair, like mine—they are parts of green and blue, much like the painting of the sea in the other room. “Who painted that piece above the couch in there?” He shrugs, not answering me in any concrete way. Then he shifts his weight from one foot to the other and his awkwardness makes it clear to me. “You did it, didn’t you? You’re a painter.” He shrugs again. I hop down from my stool to go take another look at the painting. The artist must have signed it, and I will get my answer that way. I go down the hall, past the bathroom, the stairs, and the front door until I’m standing in the parlor, looking at Vander, who is blocking the painting from my view. He must have gone through the dining room next to the kitchen to end up in here before me. He’s staring at me and chewing on his lip while flexing and balling his hands. He’s more nervous than I have ever seen him—not before a swim meet, not in class when he didn’t know an answer, not when he told me how he felt in the bathroom a little bit ago. This is where his heart lies, in this painting of this island. I try to look around him, and he leans over. “Don’t.” He is stern, but gentle. He clears his throat. “Please don’t touch it. You will want to, but don’t.” He’s right. I do want to touch it; I want to climb inside of it. I’m seeing it, and somehow it’s seeing me, and it’s making me feel pulled apart. I want to dive into the waters, to swim to that far-off land, and I also want to turn the boat around and sail as far and as quickly as I can in the opposite direction. Meanwhile, the light from the sun is dimming, laughing at me for thinking I can have any control here. I want in! Vander grabs both of my arms, which are currently outstretched toward the painting. My knees are on the seat of the couch, and I don’t even remember moving forward. His voice startles me. “You can’t.” I blink hard and turn to look him fully in the face. “I can’t what?” “You can’t go there, and you can’t go away from there. It’s just a painting.” Was I talking out loud, or can he read my mind? How does he know what I was thinking? I let him lead me through the dining room, back into the kitchen, where the timer is going off. I shake my head to let loose the feelings that painting stirred in me. “It’s more than that, and you know it. How?” I don’t even have to finish the sentence. He knows exactly what I’m asking. This review has me smiling before I've had my coffee. Thank you for reading! The Undoer is now available!